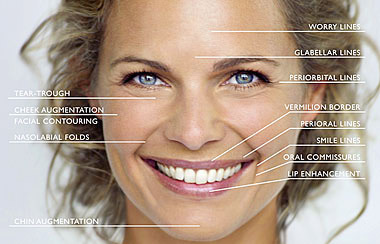 Juvederm also known as Juvederm XC is another product from the Allergan family line of cosmetic injectables. As a filler, Juvederm gives instant results. Patients love the injections because they immediately address wrinkles, fold around the nose and mouth. Juvederm is also is also great option for increasing lip volume. Like most dermal fillers, it’s considered a safe and simple procedure. The treatment takes less than an hour and the results are immediate. Patients can watch their wrinkles disappear right before their eyes during a lunch hour. Minimal bruising and redness at the injection site has been reported. Your cosmetic provider will discuss and outline all the safety risks and/or allergy related information to you prior to your treatment. How long does the Juvederm filler last? Like most non-invasive treatments, it is a temporary solution that must be maintained. It is supposed to last up to a year. The length of time will vary depending on your body and lifestyle. Juvederm is a great non-invasive option to add volume and give you immediate results that last. If you’re considering this treatment, find a cosmetic provider or local medical spa to discuss the details of your ideal aesthetic requirements and address all your concerns.